Forget the X-Factor We Bring you the Youth Factor! 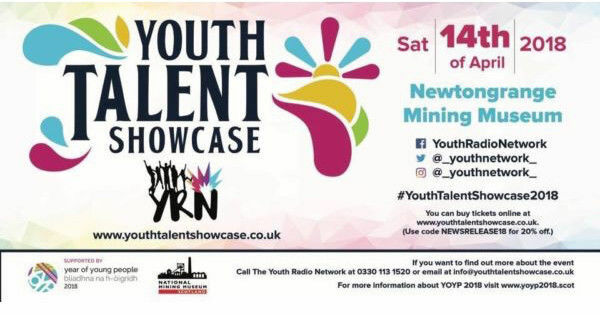 On Saturday 13th of April 2019 The Youth Radio Network is proud to bring you some of the best local talent in Scotland, singers, musicians and lots more! We are bringing you an evening like no other live music and entertainment for the whole family! Aside from the music we also have a raffle (with some fab prizes) a tombola and lots more. There will also be refreshments available for you while enjoying the show and best of all supporting young people and your community as well as The Youth Radio Network. Youth Talent Showcase 2018 was BIG but Youth Talent Showcase 2019 is going to be even BIGGER!